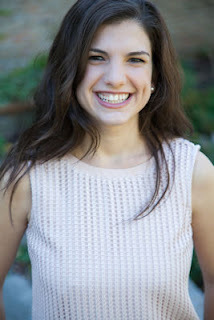 Please welcome Julia Fine to The Qwillery as part of the 2018 Debut Author Challenge Interviews. 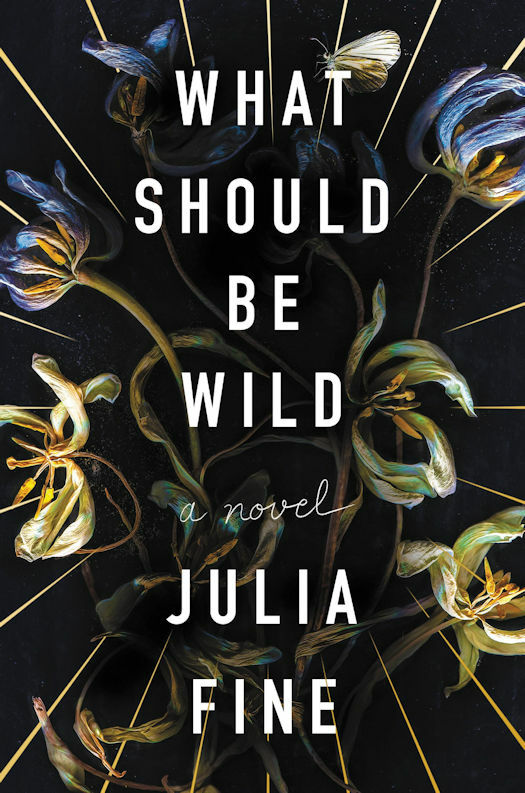 What Should Be Wild is published on May 8th by Harper. Julia: I’m so happy to be here! I’ve been writing since I can remember, but my first published piece was a poem in Stone Soup Magazine when I was nine. It was about the moon—I think I used the phrase “queen of the night.” Stone Soup is still around publishing kids’ writing and illustrations and is definitely worth checking out. It was huge for me as a kid to know that people were interested in what I had to say. Julia: A hybrid, though more of a pantser if I was forced to choose. In general I write from the gut. I’m definitely not good with outlines—I can make them, but have a lot of trouble finding the passion to write once I’m forced inside them. That said, it helps me to write the key scenes quickly to provide a sort of structure, and then jump around filling things in from there. Julia: Maybe this is too obvious, but my reading. I’m so inspired by so many books and writers—for What Should Be Wild it was Angela Carter and Shirley Jackson and Philip Pullman and Karen Russell and Doris Lessing and so many more. I’m also hugely influenced by music—for this book I listened to a lot of Hozier, Tori Amos, Damien Rice, and PJ Harvey. Pan’s Labyrinth was influential, and Stephen Sondheim’s Into the Woods (the original version). TQ: Describe What Should be Wild in 140 characters or less. Julia: Female desire is powerful! TQ: Tell us something about What Should be Wild that is not found in the book description. Julia: There are nods to classic fairy tales all throughout the book. If you’re looking for them, you can catch references to Snow White, Little Red Ridinghood, The Snow Queen, etc. TQ: What inspired you to write What Should be Wild? Do you consider the story a fairy tale or something else? Julia: I was first inspired by a legal case in Texas several years ago—a woman was declared brain-dead at about three months pregnant and her husband was fighting the hospital to get her taken off of life support. I started thinking about what life would be like for that child if medical circumstances were different and the fetus could realistically come to term. At the time I was reading Marina Warner’s From the Beast to the Blonde, a book about the feminist history of fairytales. The two worlds collided to form What Should Be Wild. I do consider the story a fairy tale, in that it’s about figuring out the boundaries between personal desires and social responsibility. I think that juxtaposition is at the heart of all fairy tales, especially the ones with female protagonists. That said, I didn’t consciously set out to write a fairy tale, and I’m happy with whatever shelf the book is put on! TQ: What sort of research did you do for What Should be Wild? Julia: What Should Be Wild is basically a big mash-up of all of my research interests. As I mentioned earlier, From the Beast to the Blonde was incredibly helpful in giving me a history of female storytelling. I did historical research for each of the vignettes about the Blakely women. I read a wonderful book called The Hidden Life of Trees by Peter Wohlleben that helped me ground some of the magic of the forest in scientific research. I read The White Goddess by Robert Graves and The Golden Bough by James Fraser to get a sense for the folklore Peter studies and the history of Maisie’s village. I read a lot of William Blake and Dylan Thomas for philosophy and mood. TQ: Please tell us about the cover for What Should be Wild. 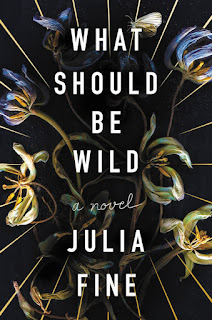 Julia: It’s up to the reader to decide if these are living flowers in the process of dying, or dead flowers coming back to life…either way they’re very feisty. I love this cover because it gives you that Gothic forest vibe without being too explicit. I also love how every time you look at it you notice something different, whether it’s the moth at the top, or the rainbow reflections. TQ: In What Should be Wild who was the easiest character to write and why? The hardest and why? Julia: Lucy Blakely was fully formed with very clear desires and personality quirks from the second she showed up on the page. Rafe took me several iterations—he’s the hardest for Maisie to fully understand, so I think some of my narrator’s struggles bled through! TQ: Why have you chosen to include or not chosen to include social issues in What Should be Wild? Julia: For me, speculative fiction is all about tackling social issues. I was looking for a way to talk about the pressures and restrictions placed on women, and the fear and fetishization of female desire. Maisie and her family don’t speak for all women, of course, but I hope I’ve captured something universal about the way those of us who identify as female move through the world. TQ: Which question about What Should be Wild do you wish someone would ask? Ask it and answer it! Julia: So far no one has asked me about place names, so I guess I’ll use this as an opportunity to discuss them! Urizon is totally stolen from William Blake’s mythopoeia. He has a character named Urizen who represents order and authority. The Blakelys are also a nod to his work. Couers Crossing, Maisie’s village, comes from the French for heart—it was initially Coeds Crossing, from the Welsh for trees, but that came off as too collegial. TQ: Give us one or two of your favorite non-spoilery quotes from What Should be Wild. Julia: I’m in the very early stages of working on a post-partum poltergeist story. Because I’m a pantser I’m not yet sure where it’s going to go! Julia: Thanks so much for having me! Julia Fine teaches writing at DePaul University and is a recent graduate of Columbia College Chicago’s MFA program. She lives in Chicago with her husband and their son.